A 59-year-old man who thought he was meeting up with a 14-year-old girl in Newcastle has been caught on camera by police who had been posing as the teenager online. The middle-aged man had been chatting online to a police officer who was posing as a teenager since July. 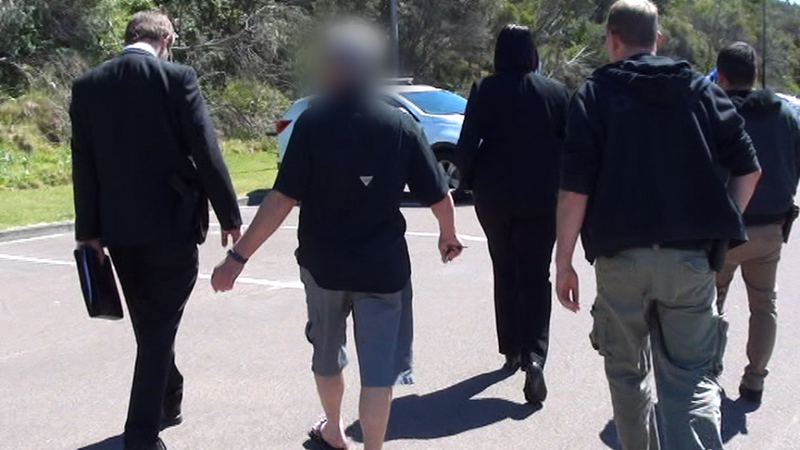 They allegedly planned a meeting at a Newcastle beach, but it was police officers that showed up, not a 14-year-old girl. 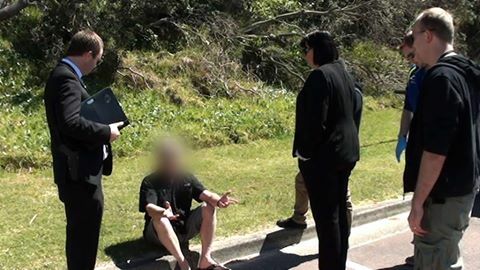 The video shows the man explaining himself to the police officers at Caves Beach in Newcastle. The police search the man and his bum bag and he is then handcuffed. The man was granted bail to appear before Belmont Local Court in November. 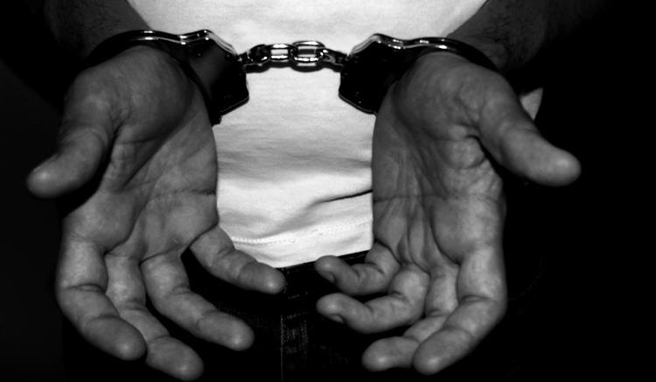 The man’s arrest was part of Strike Force Trawler, an ongoing Child Exploitation Internet Unit investigation into the sexual abuse and exploitation of children. On Tuesday, a 51-year-old man’s home was also searched after he allegedly sent sexually explicit messages, videos and photos to a police officer pretending to be a 14-year-old girl. Police had been speaking with the man online since June. They searched his house in New Lambton and seized a firearm, cannabis and the man's electronic devices. The 51-year-old was arrested and taken to Waratah Police Station. He was charged with seven offences, including child exploitation and firearm possession. He was granted bail to appear at Newcastle Local Court on October 27. Anyone with information about internet predators should call Crime Stoppers on 1800 333 000 or use the Crime Stoppers online reporting page. • Be aware of how much time your child spends on the internet. • Spend time talking to your child about the dangers associated with online conversations, particularly when communicating with someone that they have only ever met on-line. • Spend time exploring the internet with your children and let them teach you about their favourite websites and applications. • Keep computers or internet-enabled devices in a room the whole family can access, not in your child's bedroom; monitor internet access on those devices. • Consider installing filtering and/or computer blocking software provided by your internet service provider. The Netalert web page provides information on a number of commercially-available products at www.netalert.net.au. • Ensure you are able to access your child's email and social media accounts and randomly check the contents. • Check your phone bill for unusual outgoing calls and consider using 'caller ID' to identify incoming calls. • Consult your telephone company for options designed to ensure privacy and security. • Enquire with your child's school, public library, and places they frequent to find out what internet safety measures they have in place.